The risk of misjudgment could significantly rise as normal China-US people-to-people exchanges have been severely affected by the US, Chinese experts warned, following reports that the US either canceled the visas of scores of Chinese social science scholars or put them on administrative review by the FBI in 2018. 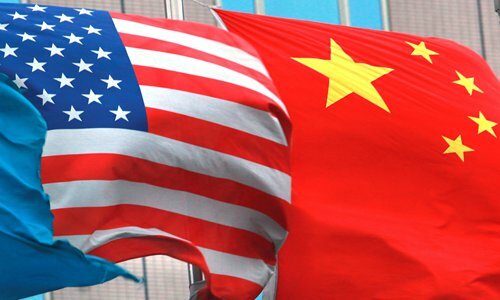 The US intelligence and security service has mounted a "counterintelligence operation" aimed at barring Chinese academics from visiting the US if they are "suspected of having links to Chinese intelligence agencies," the New York Times reported on Sunday. The number of affected Chinese scholars in the social sciences, heads of academic institutes and experts "who help explain government policies" reached 30 in 2018, the report said, citing Chinese scholars and their American counterparts. Such law enforcement based on virtually no evidence exposes the US' cold war mentality, after it officially labeled China a "strategic competitor" in its National Security Strategy in December 2017, an anonymous expert at the Institute of American Studies of Chinese Academy of Social Sciences (CASS) in Beijing, told the Global Times on Monday. The expert requested anonymity because his field of research has been hit the heaviest in this round of FBI operations. A number of Chinese social science experts shared with Global Times on Monday their experience when their US visas were revoked. Zhu Feng, executive director of the China Center for Collaborative Studies of the South China Sea at Nanjing University, told the Global Times that his 10-year US visa was crossed out by FBI agents when he was about to board his flight back to Beijing at Los Angeles airport in March 2018. Zhu said the FBI threatened to revoke his visa if he did not cooperate with their inquiry. "It is such a police state move that brings embarrassment to the US, a nation that has long boasted about its image as a protector of human rights and freedom." Zhu, a prominent expert on China-US studies for decades, had also twice been rejected for a single-entry visa to the US. His visa application materials were reviewed longer than usual that he missed the academic conferences. Zhu even failed to attend his son's graduation ceremony in the US in 2018. "I am not the only one," Zhu noted. Wang Wen, head of the Chongyang Institute for Financial Studies at Renmin University of China, found out that his 10-year B1/B2 visa was canceled through an email the US Embassy in China sent to him in February 2019. "The US side did not give any reason for such decision," Wang told the Global Times. "They just informed me and were very rude." Wang also said the FBI interrogated him and his fellow researchers. This shows how the US is trying to block normal social exchanges between the two countries, an important channel for mutual understanding and trust, Zhu said. "It is unclear why they are going after these Chinese scholars, but it is really stupid and counterproductive," a US anthropologist from Duke University, who requested anonymity, told the Global Times on Monday. The New York Times reported that the Trump administration has sought to crack down on what it sees as intellectual property theft by Chinese scientists working at US research institutes. Last year, it began restricting visas to Chinese graduates studying in "sensitive research fields," out of concerns that China poses a threat to US "technological dominance." A Chinese student surnamed Zhang pursuing PhD degree in robotics at a US university said one of his friends who worked for a US automated driving company with an H1B visa was checked for two months during last year's Christmas holidays before he was able to return to work. It usually takes one month. Many feel rattled by the FBI move and the harsh visa policy against Chinese scholars. One-year student visa holders dare not go home for summer break because they may not be able to resume their studies in the US, said a biomedical student surnamed Tan, who studies at the University in California. "People are jittery," she said. But if outstanding scientists and scholars feel unwelcome in the US and return to China, it is a fortune for China, Zhang noted. With such an extremely unfriendly attitude to academic and scientific circles, the US is ruining its long-held tradition of being open and inclusive in the pursuit of knowledge, which it takes pride in and is what makes it attractive to the world's best minds, the CASS expert, who requested anonymity, said. Pushing intellectuals will cost the US in the long run, he told the Global Times. Wang noted that no matter how petty the US becomes, China should not take countermeasures over such matters. It should stick to its open attitude to the US, which would bring the country more strategic benefits as opposed to being oversensitive.